Here we enlist the 4 best techniques for weight loss with apple cider vinegar. One starts wanting to lose weight as soon as they gain some. Because a balanced weight and body size yields innumerable health benefits in the long run. Some of these include a regulated blood pressure, good body posture, slow ageing. 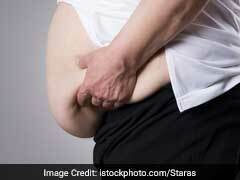 Plus, a healthy body weight helps keep the risk of dreadful diseases, as such diabetes, blood pressure etc. at bay. Regular exercise and a healthy diet are mainly the components for attaining and maintaining a balanced body weight. But there's one thing you can add in your greater scheme of things for getting your weight goals, that is, the Apple cider vinegar. Having a pale to medium amber colour, the Apple cider vinegar is a great choice for those who wish to shed those unwanted pounds. 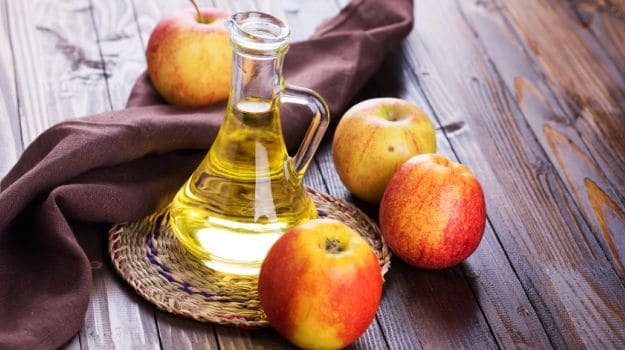 Here are some simple ways using apple cider vinegar for weight loss. ACV contains almost exactly the same amount of pectin as raw apples. Therefore, when you consume it before having your meals, it shall make you feel fuller and satisfied. That will make you eat considerably less, this aiding in weight loss. ACV is a great digestion stimulant. It helps break-down the food, and also remove toxins from the body. Thus, it helps lose weight in the long run. Another reason that makes ACV an important tool for losing weight is its ability to help the body utilise iron effectively and efficiently. Americans vinegar-coated beans not for no reason. Apples are, and therefore, ACV is a great source of potassium. So, by substituting your usage of salt with ACV, you can significantly boost up your weight loss plans. 1. Consumption of apple cider vinegar before meal can help in reducing the insulin levels. Therefore, it can be extremely helpful for type 2 diabetics if consumed on daily basis. 2. Studies also show that apple cider vinegar can help in reducing the symptoms of PCOS (Poly Cystic Ovary Syndrome) in women. 3. Germs tend to die in extremely acidic environment. Therefore, apple cider vinegar can help to treat stomach infection, sore throat and other diseases caused by germs. 4. Apple cider vinegar consists of potassium. This helps in preventing leg cramps caused due to lowered potassium levels in the body. 5. Besides its health benefits, apple cider vinegar is also beneficial for skin. It helps in minimizing the size stretch marks.It has anti-bacterial properties and helps in treating skin diseases.